As part of our festival programme, we offer exclusive ticket pricing and benefits for groups of 20 or more, so you can bring along all of your amigos! To make things a little easier, our team have hand-picked a few of our favourite Spanish titles from our 2017 programme that will be perfect for you to enjoy with friends, colleagues and family. Feel free to browse through all our festival films to make your selection. Each of our cinemas have beautifully appointed function spaces available, if you would like to do some entertaining before or after the screening. 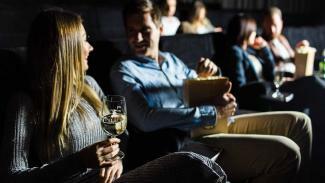 We offer discounted catering prices on a selection of food and drinks (olive oil popcorn and creamy choc top ice-creams are just a couple of our top picks) and all of our cinemas are fully-licensed with a fabulous selection of premium beer, wine, and spirits.